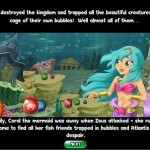 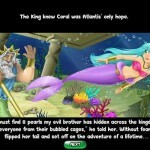 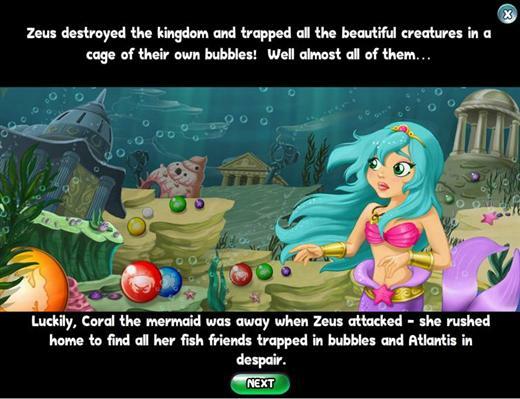 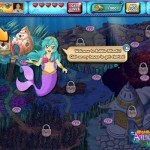 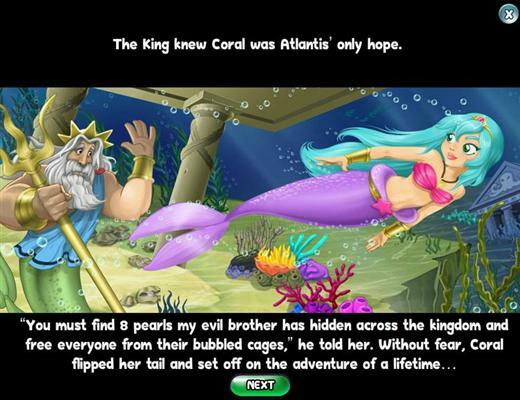 Bubble Atlantis is another bubble shooter / match-3 puzzle game on Facebook, similar to many others available, but features a very nice storyline, great graphics and animations. 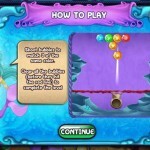 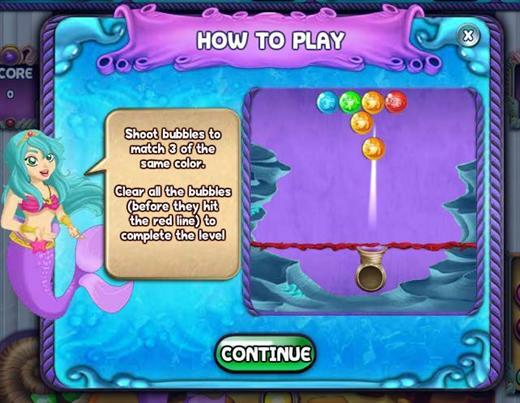 All other usual features are present, you have match 3 or more bubbles to make them explode, and you have to clear all the bubble before they get to the bottom of the screen. 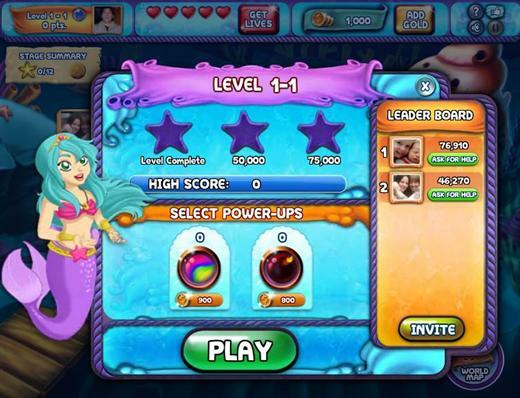 The game is divided into stages, each stage with a different theme, and several levels that you have to master in order to unlock the next one. 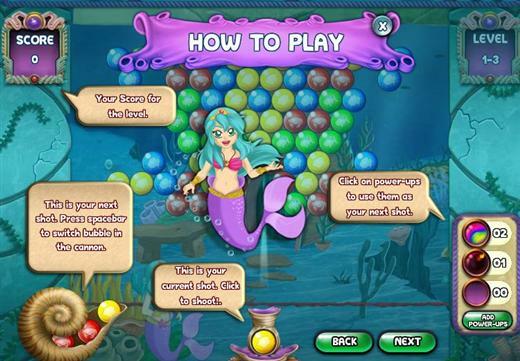 When you pass through a friend along the way, you have the option to let him or her know, and taunt them a little. 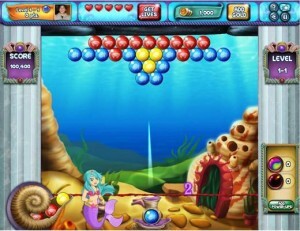 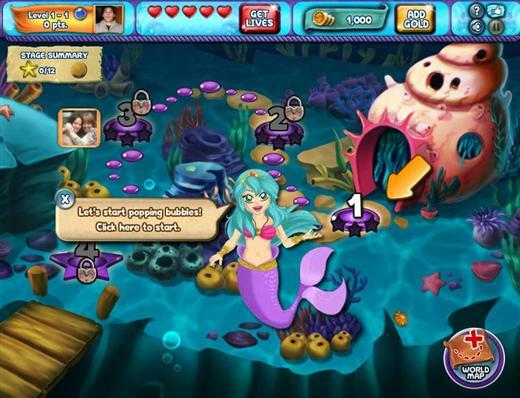 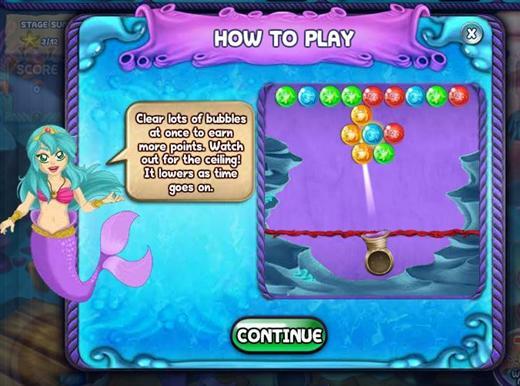 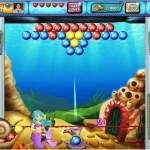 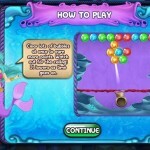 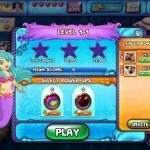 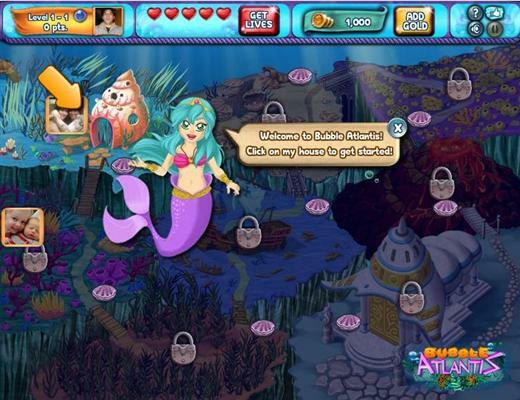 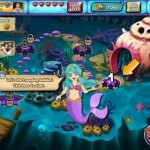 Bubble Atlantis features power-ups and level variations, like moving bubbles similar to Bubble Saga, or moving obstacles like fishes that you have to watch while playing, adding extra gameplay to it. 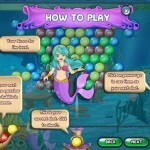 Related Tags: Bubble Shooter, MindJolt.